Why Gilbert Arizona Medical Waste? Gilbert is a town in Maricopa County, Arizona, United States, located southeast of Phoenix, within the Phoenix metropolitan area. Once known as the “Hay Shipping Capital of the World”, Gilbert is currently the most populous incorporated town in the United States. Gilbert Arizona has grown to become one of the most populated towns within the United States today. Once known as the “Hay Shipping Capital of the World”, Gilbert has transformed from an agricultural community to a thriving and economically-diverse community. The town was officially incorporated in 1920 due do William “Bobby” Gilbert providing land to the Arizona Eastern Railway in 1902 to construct a rail line between Phoenix and Florence, Arizona. The railway system Gilbert built would help lead the community to be agriculture based. The town would begin to take its current shape during the 1970’s when the Town Council approved a strip annexation that encompassed 53 square miles of vacant land. At this time, the town’s population was only 1,971 people. The town of Gilbert positioned itself in hopes of tremendous growth. This would be achieved a boom in population at the start of the 1980’s and since then hasn’t slowed down. The town of Gilbert offers remarkable and easily accessible amenities that make residents and visitors life’s just that more enjoyable! This high quality of life and thriving community life have been fueled by the strong economy. Gilbert community has been rank by the CNN/Money Magazine as one of the “Best Places to Live in the United States”. The town supports its outdoors activities with over 700 acres of designated open space for recreation and entertainment. The largest and most popular wildlife preserves within Gilbert, The Riparian at Water Ranch, offers one of a kind hiking and equestrian trails. Not an outdoorsy type of person? Not to worry, the world-class spas and premier shopping options that are surely an easy way to relieve you of any stress. With attractive demographics, award-winning amenities, strategically identified business incentives and high-profile developments, Gilbert offers an attainable economic opportunity for industry-leading companies. Some of the largest employers within the town of Gilbert include Gilbert Public Schools, Banner Health, Mercy Gilbert Medical Center, Fry Food and Drug, and Chandler Unified School District. Specifically, within that list, the healthcare providers make up for 23% of the resident’s employment. Nationally, the healthcare industry costs have constantly been on the rise for more than last decade. Thus, facilities are forced to look for ways to save money and receive service top tier service at the same time. With the one of the largest town population in the United States, Gilbert healthcare facilities produce an enormous amount of medical waste daily. Disposing of the medical waste is often costly and overlooked when trying to cut cost. 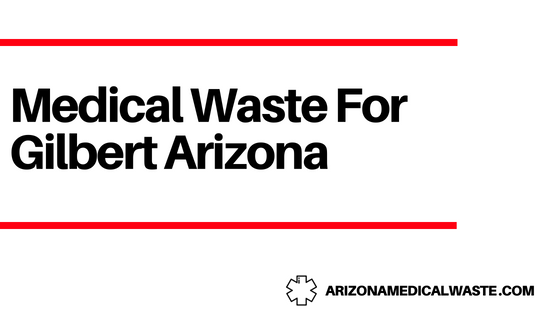 Arizona Medical Waste offers the solution to dispose of facilities medical waste at an utmost affordable cost. OSHA compliance training is required for your employees to ensure handling of medical waste is proper. Arizona medical waste OSHA training will eliminate having to pay your employees to waste a day traveling to a consultant to get this required training. All of our OSHA compliance training can be done at the convenience of your facility, through our online portal. After each section, of course, multiple choice questions are required to ensure the information is being retained. Certificates of completion are awarded after completing Arizona medical waste OSHA compliance training and can be accessed online for filing purposes. The beautiful town of Gilbert offers world-class amenities, job opportunities, and scenery to residents and visitors of all ages. The healthcare providers within Gilbert hold tremendous value to the city itself and residents. Through one of Arizona medical waste Disposal’s programs, these facilities will be alieved of having to worry about hefty medical waste cost. Let Arizona medical waste deal with your waste, so you can tend to aid the city of Gilbert. Put this mixture into a disposable container with a lid, such as an empty margarine tub or resealable bag. Conceal or remove any personal information, including Rx number, on the empty containers by covering it with a black permanent marker or duct tape. Place the sealed container with the mixture and the empty drug container in the trash. Find a location to dispose of your unused prescription medications here. The clearly labeled sharps container can then be placed into your trash container. Bottom line is, Arizona Medical Waste specializes in on-call and scheduled pickup, treatment, and disposal of bio hazards, such as “red bag” medical waste and sharps containers in Arizona. 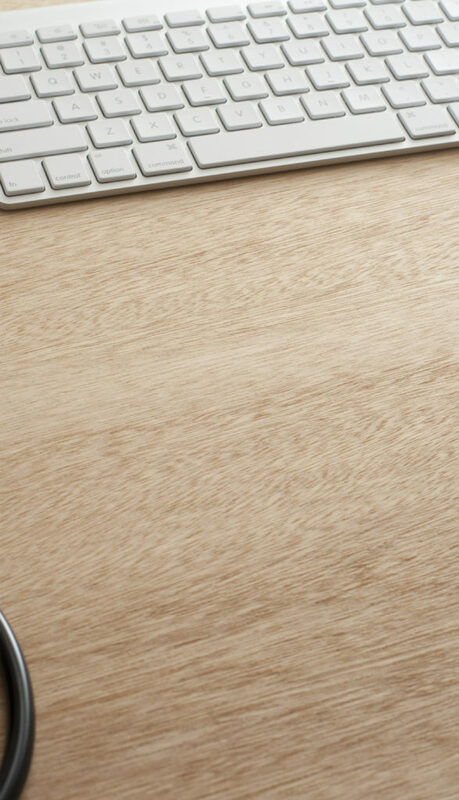 It’s up to you to perform due diligence on anyone you hire to handle your medical waste. If you don’t, you could be putting your business at risk for compliance or customer service problems that may be very difficult to resolve. Better yet, choose an Arizona-based and Arizona-licensed medical waste disposal company.